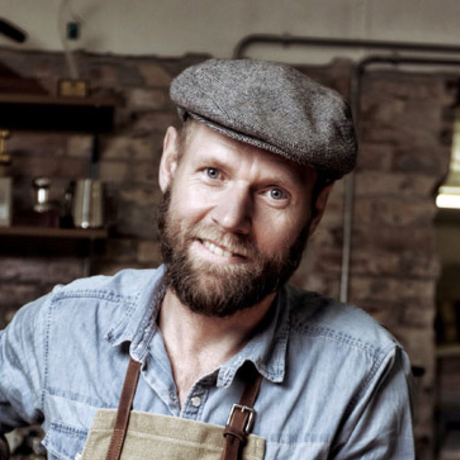 Søren Stiller Markussen on creating great coffee. Søren Stiller Markussen is one of the worlds best baristas. A short list of his accomplishments is: 2011, gold medal in LatteArt, Denmar, 2010, gold medal in Barista, Denmark and Nr. 5 in the finals at VM, Londo, 2008, gold medal in Barista, Denmark and Nr. 6 in the finals at VM, Copenhage, 2008, Gold Medal at European Coffee Team Challange, Italy, 2007, Silver at VM in LatteArt, Belgium. Søren is not only competing, he is constantly developing new brewing tools and methods. A year ago Søren opened a cafe / rostery / academy in the hart of Aarhus to share his passion of coffee.